Hello vapers, welcome to The Vaping Times vape giveaways. Our goal is to bring you the best vaping giveaways on the world wide web possible, to help you save money on your vape devices. We aim to offer the best vape giveaway for mods, tanks, e-juice, and other vaping supplies. If you are a vaper on a budget or just an enthusiast vaper who are looking for cheap vape gears, be sure to check out our vape giveaway page regularly. Now we are glad to notify you that Heaven Gifts are back on Youtube and their new channel is called Heaven Gifts Official. They are going to publish various types of video content, such as new products display videos, tutorials and lots of giveaway videos of popular vaping devices. They would like to start their new channel by sharing vape gears with the vape community! Thank you for your support! 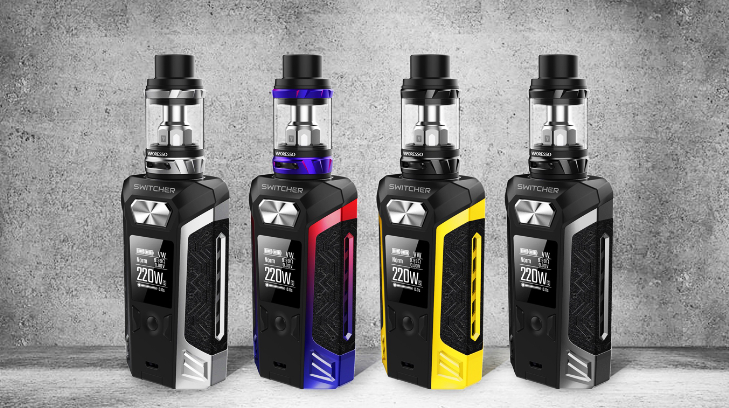 They have prepared 10 prizes for the giveaway such as Vaporesso Switcher Kit, Smoant Charon Mini-mod, Ehpro Armor Prime mod, and many other devices. For every 50 likes of the video they will be giving away one prize, so please invite your friends to enter the giveaway to increase your chance to win! Good Luck!